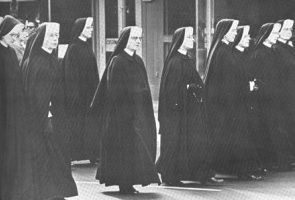 The Sisters intentional contemplation of matters of racism and systemic injustice didn’t stop with the march in 1964. The Dominican Sisters of Grand Rapids condemn racism. Hate and discrimination diminish us all. We grieve with the citizens of Charlottesville and with all of us who are also harmed by racist words and actions anywhere. We mourn with those who have lost loved ones, with all who live in fear, and with all whose dignity is threatened by hate and violence. The Dominican Sisters of Grand Rapids stand against harmful rhetoric and actions that result in fear and evoke hatred in our cities and neighborhoods. Racism afflicts our country. Any conversation or activity that contributes to division, hatred, violence, or disrespect of another human being hurts all of us as a human family. We pray that people relate to each other with dignity and respect. 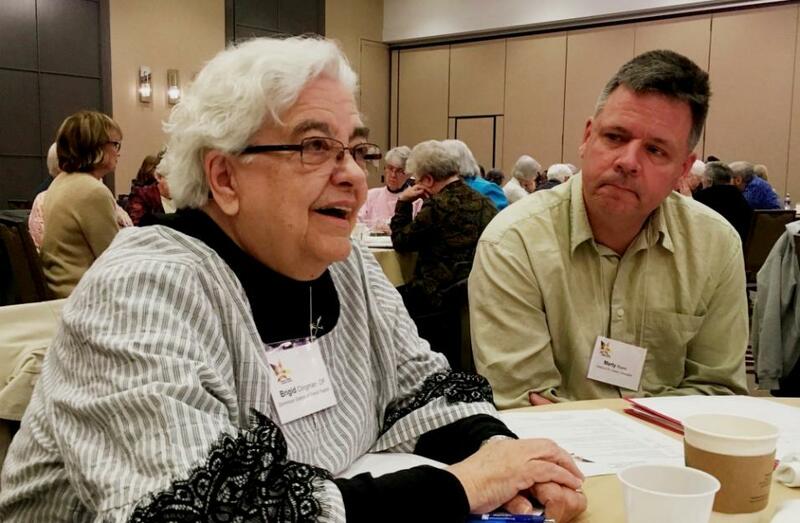 Fast forward to last week when Brigid Clingman, OP, Grand Rapids Dominican Sister, joined about 120 participants — women religious and lay associates, nearly all serving as justice promoters or advocates within their congregations — at the biennial convocation of the Justice Conference of Women Religious in St. Louis, Missouri. Understanding and taking responsibility for historic attitudes and behaviors that have advanced rather than confronted racism is one purpose of a new social media campaign led by the Leadership Conference of Women Religious.According to LCWR, the “Standing Against Racism” campaign will feature women religious of color and messages that call upon all women religious to take responsibility for “our own complicity, and purging ourselves, our communities, and our country of the sin of racism and its destructive effects.”Facebook and Instagram posts will be published on Wednesdays April 3 through May 15. You can follow along with this campaign on the Dominican Sisters Facebook page.